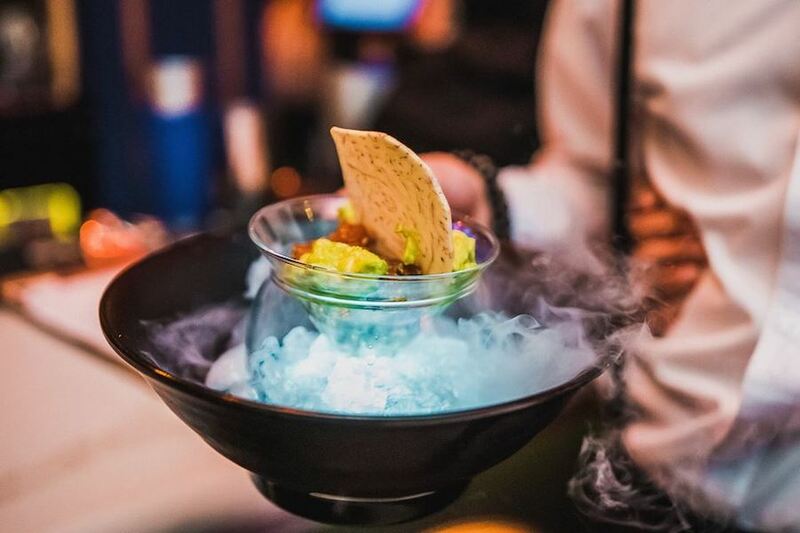 I recently attended the Casino Royale themed, second anniversary media dinner at Bord’Elle, one of Old Montreal’s best venues for people watching, shocking burlesque shows, fab dinners and excellent cocktails. From top to bottom, Bord’Elle has maintained its place over the last two years as an attraction like no other in the city. The food at Bord’Elle continues to surprise me. The restaurant remains top on my recommendations list when I get questions from out-of-towners asking where they should go when they are in Montreal. 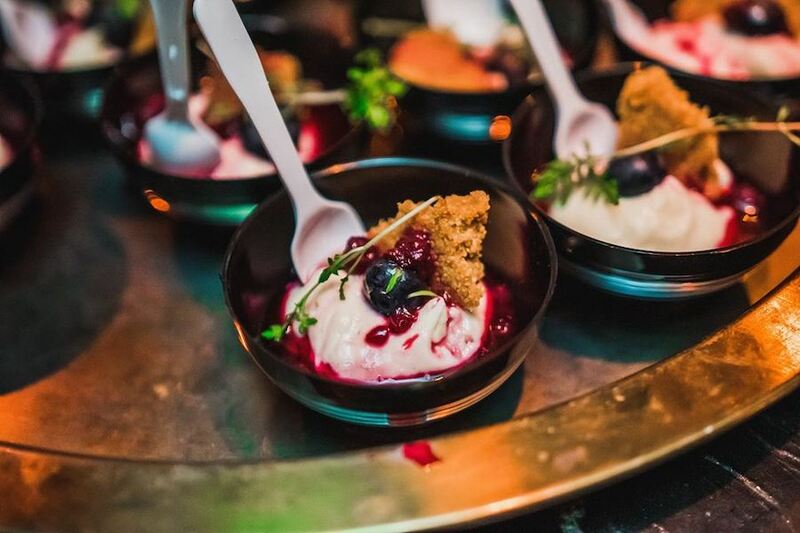 Nightclubs are rarely known for their cuisine but Bord’Elle hasn’t just maintained a standard, it has also pushed through and improved over the last two years. At the second anniversary we tried everything from Alaskan crab (with gruyere, roasted garlic butter and panko) and wagyu tataki (featuring black truffles, green onion, ponzu and alfalfa sprouts) to buratta, short ribs that are slow cooked and braised over 8 hours and much more. I highly recommend a night out for food at Bord’Elle. It doesn’t disappoint. 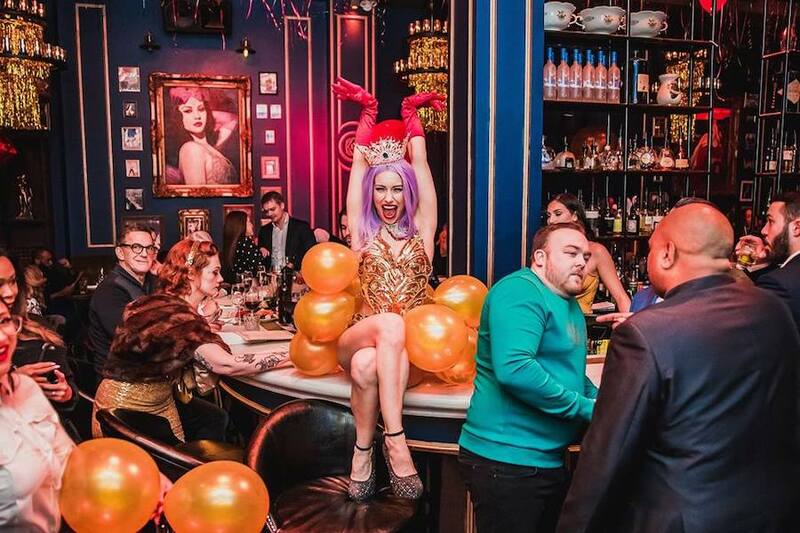 While we all go out for a good meal, Bord’Elle’s true attraction are the burlesque shows that are put on a couple of times a night ever week. The women are spectacular, both behind the bar and on stage. They are entertainers, actors, Olympic-level gymnasts and when they performing, all eyes are on them. We sit there with our mouths gaping while they spin and contort themselves on rings and ribbons flowing from the ceiling, all for our entertainment. They master their stage with poise, abundant energy and doing all this while draped in sequins, jewels, heels and little else. My hat goes off to these women and I can’t help but wonder why they don’t throw men into the same situations. It’s 2019 and its only fair that if we are expecting that level of entertainment from women dressed in next to nothing, why not do the same with men. Surely the people that go out for a night on the town at Bord’Elle are not so insecure that seeing a man shirtless or more spinning from the ceiling would have them walk away? We’re Montrealers after, nothing shocks us! If I were to see both sexes objectified equally and glammed up the next time I go would be the next level of surprise that I have come to expect from this excellent venue. I’m not sure we will get there but one can hope. For more visit Bord’Elle’s website here.